As the new year is upon us, most of us reflect on the last year and think about the things that we want to accomplish in the new year. Is there a new ground-breaking project at work that I can get involved in? Is there an industry conference that I can attend to grow my network while enhancing my knowledge base? Is there a new job out there that can better leverage my talent and challenge me? Am I ready to begin a new job search as well as update my resume and LinkedIn Profile? Depending on what path you are looking to take for the new year, many of my clients wonder how to start and actively engage in these new transitions. Lucky for my clients, that is what I excel in! I am committed to navigating my clients through their journey with the best possible outcomes and results. 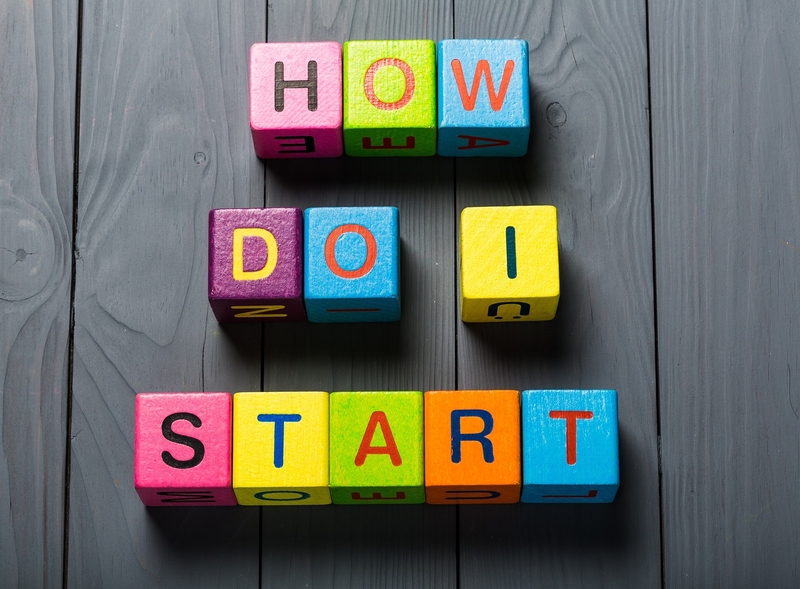 One of the most common questions my clients approach me with is “where do I begin” or “how should I begin”? Many times, they already know what new projects they want to contribute to at work, what industry conference they can network at, if they are interested in a career change, or what job path they want to pursue. They just need some direction and clarity on how to fit all of the pieces together. They rely on me to be their personal branding guru, career strategist, resume writing expert, and job coach to help them navigate with a clear focus and definitive end-game in mind. Here are some tips to make sure you are ready to navigate the new year from a career perspective. The first thing you should always do after you complete a new project, achieve a new milestone in your career, graduate from an educational program, or earn a new credential / certification is to update your resume and personal branding across all of your professional platforms. Your resume is the most valuable and accurate representation of your career because it helps to pave the way to new job opportunities. Any time you go to a professional conference, network at special industry events, or simply meet with your HR department at your company, you always want to have a current and up-to-date resume that is ready to go. You never know when a request will come in for your resume. This is the single most vital strategy that I advise my clients on because it always ensures they are ready for any job opportunity that arises. The last thing you want to do is let grass grow under your feet when there is a request for your resume. Even the slightest delay could result in a missed opportunity. Your goal is to keep the momentum going while continuing to generate more interest about you and your resume. Depending on the volume of new achievements you need to add or the evolution of your career goals after you earn those achievements, the best strategy is to update your resume at consistent intervals because it ensures you are always putting your best (and most current) foot forward. As a resume writing expert, I can tell you this is the most powerful and rewarding step you can make toward a new career path or job opportunity. This investment in your resume will pay off significantly and yield the results you deserve. After you make your additions to your resume, the next step is updating your LinkedIn Profile and refreshing your personal branding on LinkedIn. This is another valuable tool you have to market yourself. It is obvious that you will update your professional experience listings with any new achievements. But did you ever think about some of the other strategic elements in your LinkedIn profile like your headline, summary, or skills? These are great places to refresh with new content and new keywords. These may or may not need to be updated based on your new achievements. But make it a point to update these things with different keywords and new content so you stand out and generate more attention. If hiring managers make it a standard practice to randomly search profiles or source potential candidates every month, wouldn’t it be advantageous for you to keep coming up in these searches? If you make the commitment to update your LinkedIn profile, this will maximize the number of searches you appear in. It is also a good idea to update your skills with refreshed keywords. New keywords will always help to optimize your results on LinkedIn. If you decide that you want to pursue job opportunities outside of your current company, make the commitment to compile a list of companies that you would like to work for. Once you determine what companies are a good fit for you professionally, leverage your LinkedIn network to see if you can make connections to people within those companies. This is a necessary step if you want to energize your overall career strategy and job search. You can “follow” these companies on LinkedIn as well. This will help you to circulate your name and credentials while generating interest in new job opportunities. I have clients that swear by this strategy because it yields the best results on LinkedIn. They always have a friend of a friend that is hiring (or knows someone that is hiring) and can pass along their resume internally, which streamlines the time it takes for you to get noticed. When looking back on the last year and all of your social media posts, be mindful of the image you are projecting to potential employers and colleagues that don’t know you yet. After you go through some of your older posts, have a discerning eye when you evaluate whether or not you would want a hiring manager to see that post. In the moment, that picture you uploaded might have generated a lot of likes and crazy comments from your friends. But in retrospect, do you really want that image to live in perpetuity with a potential boss? Without knowing you personally or professionally, is that what you want the take-away to be of you? Think about the image you are presenting and how that would be viewed by potential hiring managers. When you are looking for new job opportunities, you want to be given the chance to let your results, professionalism, and talent speak for themselves rather than being prematurely judged based on a random social media post. If you are looking to make a good impression and want to be taken seriously in a professional capacity, always take great care in deciding what to post on social media and more importantly what NOT to post! Look at that…now you are ready to start the new year with a clear focus on attaining your goals. Whether it be updating your resume, jump-starting your job search, or optimizing your personal branding strategy, the world is your oyster. Make the commitment to forge a new path and you will realize the career of your dreams!